A couple of weeks ago we had an all-French evening at the St. Louis Symphony. This weekend Resident Conductor Gemma New will lead the orchestra in a program of three works for which the inspiration was French, even if the composers aren't. 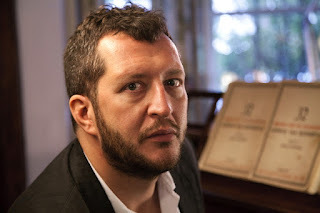 The concerts open with a local premiere, the "Three Studies after Couperin" by contemporary British composer Thomas Adès (b. 1971). Commissioned by the Basel Chamber Orchestra and first performed by them in 2006, the "Three Studies" are orchestrations/transformations of keyboard works by the great French composer François Couperin (1668-1733). Each piece...has the same number of bars as the original, and contains the same harmonies and rhythms. So why, then, are these pieces 'studies' and not simply 'arrangements'? Adès may take nothing away from Couperin's original pieces, but he adds to them. Using an orchestra--really two, since the heart of the ensemble is a double string orchestra-- Adès makes each piece an investigation of a different musical idea: the textural amusement of the first, the way the melody melts from the bass flute solo to bassoon, to the strings and the brass, or the amplification of Couperin's pain-wracked soul in the third piece into a multi-faceted musical space. The second, Couperin's 'magic tricks' is the most spectacular of all, as Adès's own compositional sleight of hand creates a rhythmic tempest in the music's final moments. If you'd like to get a preview of the music, the links in the previous paragraph will take you to performances by the Chamber Orchestra of Europe, conducted by the composer, so it's a safe bet they're authoritative. "Les Tours de Passe-Passe" is especially interesting in the way Adès has traditionally low instruments play at the top of their ranges. As Yvonne Frindle writes in her SLSO program notes, "[t]he frenetic sharing of melody notes between parts threatens disaster--hocus pocus!" Parenthetical note: the literal translation of "Les Tours de Passe-Passe" would be "the passe-passe towers." Given that magicians still perform a trick today called the "passe-passe bottles," I strongly suspect that the present-day trick had its origins in an illusion Couperin depicted in his music. Up next will be Mozart's Concerto in C major for Flute and Harp, written in 1778 during a trip to Paris. 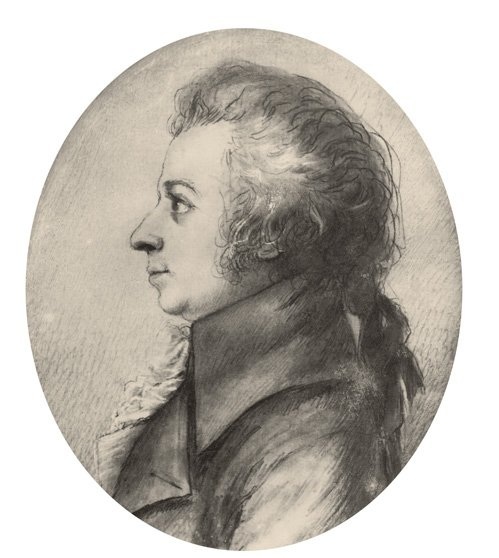 Mozart was only 22 and already a seasoned traveler at the time, but this particular trip was not, like his earlier journeys to Europe's capitals, part of a concert tour. This time Mozart was looking for regular employment, and he thought he'd found it when the Duke of Guînes commissioned him to write a concerto that the Duke--an accomplished flutist--could perform with his harpist daughter. Unfortunately, the Duke turned out to be the kind of rich guy who contracts for services and then refuses to pay for them (sound familiar?). Mozart never got paid for the work and it never got a public performance in his lifetime. Still, it's a lively and charming piece that will shine the spotlight on two of our local musical stars, Principal Flute Mark Sparks and Principal Harp Allegra Lilly. Though popular in amateur settings, the instrument had a number of technical limitations that kept it from establishing a foothold in the concert hall (the modern concert harp as we know it wasn't even invented until 1810). Mozart seems to have decided to approach the instrument as a kind of plucked piano. Not only does the concerto lack the glissandi and broadly dramatic arpeggios we think of as so typically "harpish" today, but those listeners familiar with Mozart's piano works will recognize many of the gestures typical of his keyboard writing in the harp part. Though he left few clues as to his feelings about the experience, it is perhaps telling that he never used the instrument in another piece--an unusual omission for an eager adopter of new technology and an early champion of instruments such as the clarinet and the glass harmonica. Not only was Mozart uncomfortable with the harp, he didn't much care for the flute either. 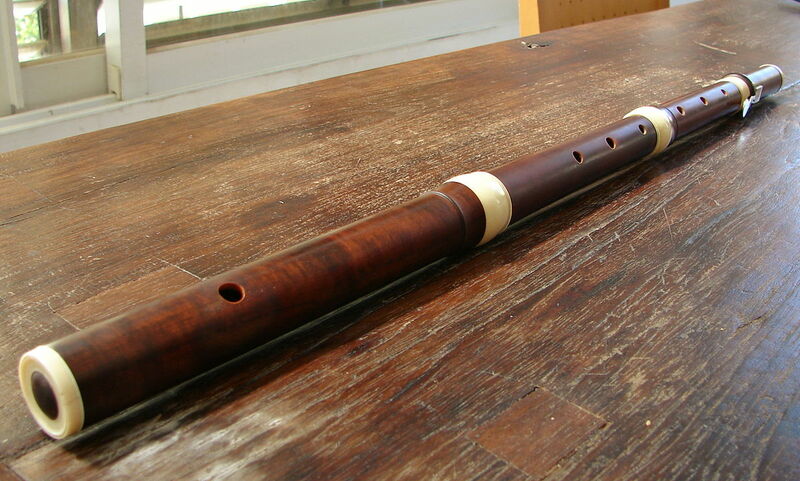 That might have been because the instrument was, in 1778, a fairly primitive wooden contraption with a small number of keys that was hard to keep in tune. The Duke's instrument apparently was a cutting edge English model with extra keys (for which Mozart wrote some extra low notes) but it still almost certainly bore little resemblance to the complex modern instrument Mr. Sparks will be playing. It's a safe bet that it was (to steal a joke of uncertain origin) an ill wind that nobody blows good. The concerts will conclude with another instance of old French wine in new bottles: the suite from Richard Strauss's music for a revised and greatly expanded version of Molière's 1670 comedy about social climbers, "Le Bourgeois gentilhomme" (roughly "The Middle Class Gentleman"). 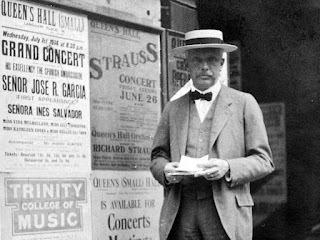 The revision, by Strauss's frequent collaborator Hugo von Hofmannsthal, took a fake Turkish "marriage ceremony" in the original play and turned it into a full-length opera, "Ariadne auf Naxos." The resulting very long evening (around four hours) was a flop. "Theater people," according to Aspen Music Festival program notes, "thought the opera took too much attention away from the play; opera buffs hated to have to sit through a play before the singing started. Moreover it was impractical and expensive, since a producer had to hire both a theater company and an opera company to put it on!" These days "Ariadne" is often performed all by itself (the most recent local production was in 2016). Strauss prepared a suite of his incidental music for Hofmannsthal's version of the play, publishing it in 1919 as his Op. 60. It's not performed as often as it ought to be, in my view (the SLSO last did it in 1991), given what a continual delight it is. Most of the music is original to Strauss, although he did base three of the nine movements in the suite on music originally composed for the play by Jean-Baptiste Lully (1632-1687), the celebrated French composer who frequently collaborated with Molière. The piece is a mock-Baroque amusement park, chock filled with solo small ensemble passages that give members of the band a chance to strut their stuff. The "Menuett," for example, prominently features the flutes, while the movement that follows ("The Fencing Master") has some comically loopy bits for trombone, trumpet, and piano that portray the elaborate parry and thrust of the class. "The Entrance and Dance of the Tailors" offers a violin part so substantial it could almost be a mini-concerto. It begins with an entrance march for the guests, and a series of courses identified musically and followed by the opportunity for some (musical) conversation: The fish is salmon (a quotation from Wagner's Ring tells us that it must have been caught in the Rhine). The meat is mutton (the sheep from Strauss's own Don Quixote). A lovely meditation for cello follows, perhaps for no better reason than that thinking of Don Quixote brought made Strauss think of the instrument featured in that score. Roasted songbirds are identified partly by the larks heard at the beginning of Rosenkavalier (and, for some strange reason, Verdi's "La donna è mobile"). Finally an omelette surprise is marked by the sudden arrival of a kitchen lad who performs a lively, suggestive waltz, though Strauss's music is filled with simple joie de vivre. In short, if this music doesn't send you out of Powell Hall with a smile on your face, you might need to heed the advice of lyricist Lew Brown: "Life is just a bowl of cherries / Don't take it serious; it's too mysterious." But don't take my word for it. There's a fine performance by Vladimir Jurowski and the Chamber Orchestra of Europe on YouTube that's marred only by commercials between some of the movements. There's also one conducted by JoAnn Falletta who was recently named Classical Woman of the Year by Performance Today listeners. It doesn't have the fancy camera work of the Jurowski performance, but on the other hand it doesn't have commercials. The Essentials: Gemma New conducts the St. Louis Symphony Orchestra along with soloists Mark Sparks, flute, and Allegra Lilly, harp, on Friday at 10:30 am, Saturday at 8 pm, and Sunday at 3 pm, April 5-7. The concert takes place at Powell Symphony Hall, 718 North Grand in Grand Center.